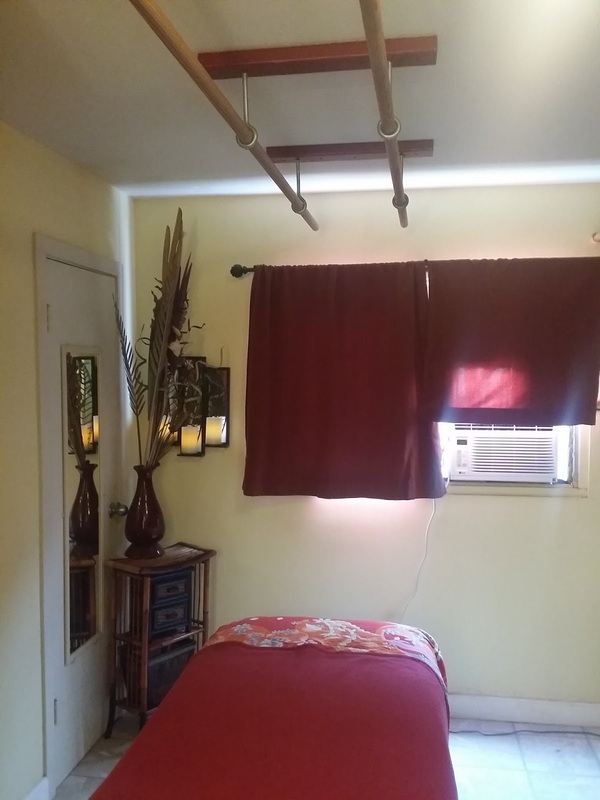 Integrated Massage and Deep Tissue Therapy is located on the second floor of the Ka'ala Healing Arts Center in Waialua, just outside of Haleiwa, Hawaii, on the North Shore of Oahu. We are a Waialua massage clinic focusing on pain relief. We offer massage near Haleiwa on the North Shore of Oahu, Hawaii. Over 20 years of experience. Prices start at $50. Health insurance that covers massage therapy is accepted. In Hawaii, this includes some HMSA, HMAA, UHA, and Kaiser policies. Get a massage, just minutes away from Haleiwa and the North Shore of Oahu, HI. Integrated Massage is a professional, one-room massage therapy clinic in Waialua, Oahu, Hawaii in the Ka'ala Healing Arts Center. Sonia specializes in deep tissue, medical massage, and barefoot massage techniques. in the Ka'ala Healing Arts Bldg. Hawaii state license MAE 2510, and MAT 7465. Insured by the American Massage Therapy Association (AMTA, Hawaii Chapter) and Nationally Certified by the NCBTMB. Our clinic offers massage therapy in the Ka'ala Healing Arts Center, near Haleiwa in Waialua. Our comfortable one-room office is the perfect get-away for a relaxing massage on the North Shore of Hawaii. We might not offer the same amenities that you would find at a resort spa like Turtle Bay, but if you are looking for excellent customer service and attention to detail, we can meet all of your massage needs. Your appointment will never feel rushed, and we always take the time to get to know your preferences. Sonia has over twenty years of experience in the field of massage and can design a treatment plan to meet your specific goals. Get a high-quality massage without even having to leave the North Shore of Hawaii on Oahu or plan your trip to the famous beaches of the North Shore and get a massage along the way. Our North Shore massage clinic is a short 45-60 minute drive from Honolulu, Waikiki, Kailua, and the East Side of the Island. Come tour the beautiful North Shore of Oahu after getting your massage. Our location houses two separate companies. Integrated Massage and Deep Tissue Therapy was first established in 2005 to offer holistic deep tissue massage and ashiatsu barefoot massage services to residents of Haleiwa and the North Shore of Oahu. In 2009, a separate Clinical Massage business was established to provide medical massage for clients who have received a doctor's prescription seeking insurance reimbursement. In 2016, Abby Parker began offering Ashiatsu Barefoot Massage Certification at Ka'ala Healing Arts for professional massage therapists from around the country to learn this incredible technique. She has now moved down the street to the Scoop of Paradise Ice Cream Factory near Pa'alakai Bakery. Our one-room clinic specializes in massage for clinical pain relief and offers one of the most extensive lists of massage services that you can find on Hawaii's North Shore in Haleiwa or Waialua. Our Hawaii massage specialty is deep tissue, with or without barefoot ashiatsu massage, incorporating neuromuscular therapy and myofascial release. 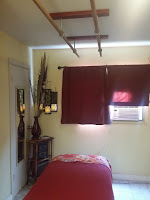 For something more soothing, clients can opt for hot stone massage, Hawaiian lomilomi, aromatherapy massage, Thai on the table, Shiatsu, Acupressure, Energy work, Reiki, Swedish massage, Reflexology foot massage, and more. At our Hawaii state Waialua clinic near Haleiwa, we also offer a complete selection of massage therapy for women's health that includes prenatal pregnancy massage, postnatal massage, self-care for a balanced life, fertility massage, and infant massage classes for caregivers. Explore my website to learn more or call me with any questions. I teach Reiki and other self-healing energy therapies at our Waialua massage clinic near Haleiwa as a public service for community wellness. 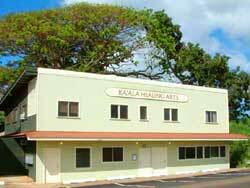 We are located on the second floor of the Ka'ala Healing Arts Building in Waialua, HI. If you would like help coordinating a full day of wellness services, we would be more than happy to help schedule your appointments. Ka'ala Healing Arts is home to some of the North Shore's best skincare services, massage therapy, Ida Rolf's method of Structural Integration (similar to Rolfing), lash extensions, waxing, colon hydrotherapy, mental health counseling, and more. Although all of the businesses are separately owned and operated, we communicate and work with each other on a daily basis. You could easily relax with us for an entire day and treat yourself to a mini-vacation without leaving the North Shore of Hawaii. Call our massage clinic near Haleiwa now to find out more! All your alternative healthcare providers are conveniently located under one roof just minutes away from Haleiwa in the town of Waialua at the Ka'ala Healing Arts Center. Plan a mini-retreat without leaving the North Shore. Discover a renewed sense of health and wellness today! We are just minutes from Dillingham Airfield, Oahu's premier recreational airport in Waialua. After your massage, continue to soar high in Haleiwa by taking a glider ride, going skydiving, riding in a powered hang glider, or taking an acrobatic flight above the beautiful beaches of the North Shore. The possibilities are endless. Haleiwa is also home to some of the best surfing and water activities in Hawai'i. Explore more activities in nearby Haleiwa town by visiting the locations page of our website. Even if you aren't a big-wave or snorkeling enthusiast, Haleiwa and the North Shore has something to offer everyone. Fine dining and a unique shopping experience can be found just minutes down the road from our Waialua massage clinic near the North Shore of Oahu. You can even learn more about farming after your massage by going on a farm tour. No trip to Hawaii is ever complete without making a drive up to the North Shore of Oahu, and you might as well get an amazing massage while you're at it! If you have any questions, don't hesitate to give us a call. I love what I do, and I am always happy to help our clients become more knowledgable about the benefits of massage. North Shore massage therapist and space cadet. AKA "The Haleiwa Massage Muse." Massage therapy is my passion! In my space time- I read science fiction, write poetry, chase feral chickens, and try to spread the positivity and love. Always ISO geeks, outcasts, misfits, and other signs of alien or intelligent life.